Day Tripper is a single sculptural component in a much larger multi faceted site-specific public art project called Time Capsules. The Time Capsules project was designed and produced for the Camden Community Center (formerly Camden High School) through a collaborative venture between San Jose State University faculty, students and the local community. 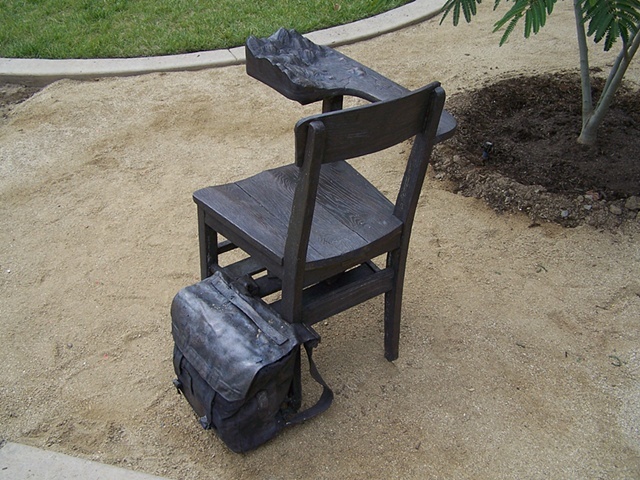 Day Tripper is one of six cast bronze school desk sculptures that were inspired by a Camden High School senior prank in which all of the desks from the school were perched on the roof of the building one morning in 1977. 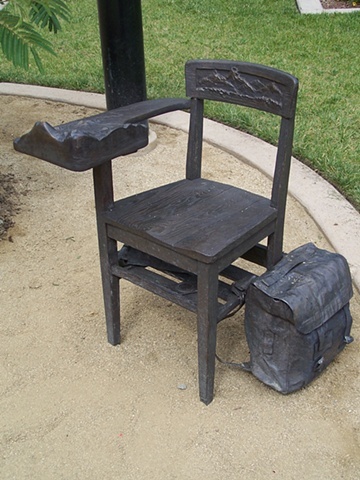 Each cast metal school desk sculpture is an individual interpretation of a typical high school personality. 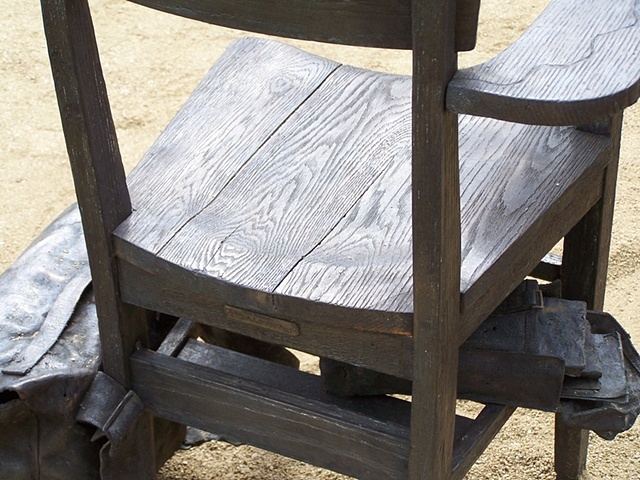 I had been given the opportunity to conceptualize, design and build one of the six desks. 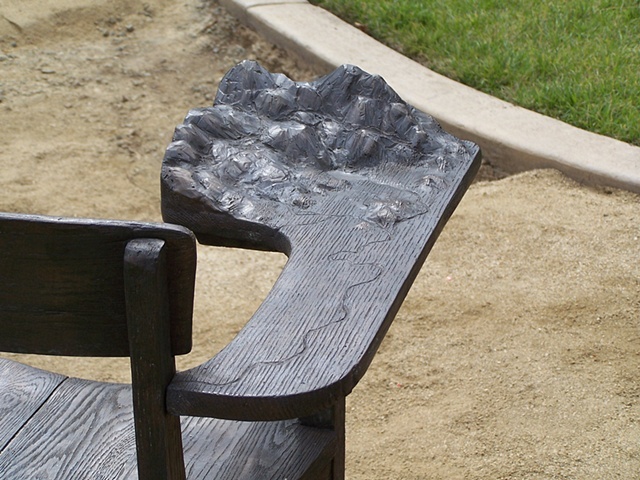 Other artists who had created desk chair sculptures for this project are: Bryan Ahlstrom, Mark Fox-Morgan, Melissa Jennifer, Max Rain and Julia Jacobson. 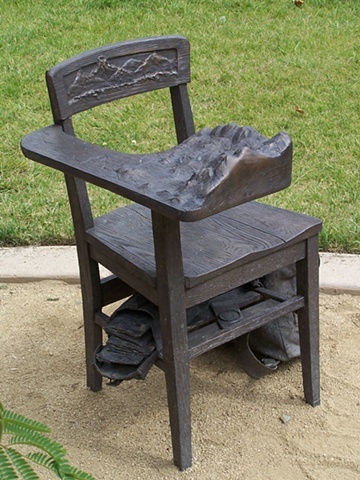 Special thanks and acknowledgement to Andrew Hedges for creating the low relief scene on the backrest and for helping me make molds of the chair. 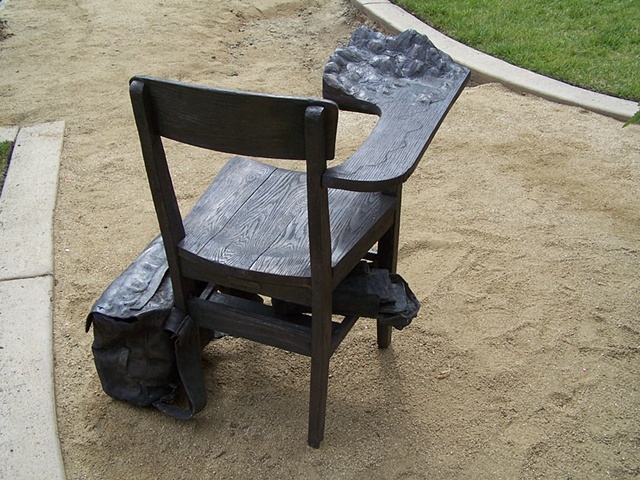 Thanks also to the project manager for the Desk Chair project Julia Jacobson and Time Capsule project manager Beverly Rayner.